I planned to arrive at the summit from the Bormio ascend around noon, so I could have a lunch break up there. Around 10:15 we headed towards Bormio to start the climb at “Tornante 40”. I have done this side a couple of times now and it doesn’t have a lot of surprises anymore. The best part is after those galleries, when the 14 consecutive hairpins give you an ever more breathtaking view. After that section, you keep on climbing until you reach the chapel, were the seemingly flat straight takes you to the final section. Best not to get reckless there, because the hardest part of the climb is yet to come. However, I was happy to find that today it wasn’t as cold and windy as I have experienced before, after the split with the Umbrail. That didn’t make the final stretch a piece of cake, but it wasn’t the hell I feared either. At the horribly busy summit, we had a good lunch at Genziana’s after which I descended to Prato. In Prato, I turned around and started the ascend from there at the same spot – Gasthof Stern – where I started my 2008 trip. 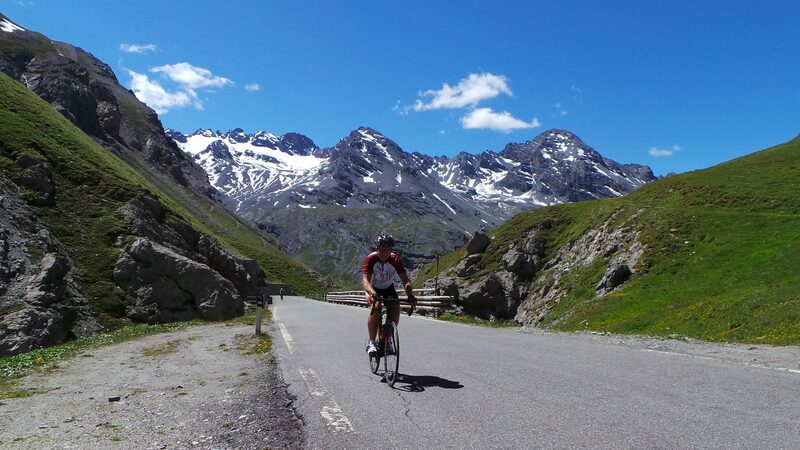 Not counting the preceding climbs of the Gerlitzen and Nockalmstrasse – which is not altogether fair to either, but anyway – that was my first ever big mountain climb. And I remembered it well – some parts better than others, but I knew there were not really any sections where you can catch your breath. I was progressing slowly and had to get off the bike a couple of times to ease the pain in my back and neck – I think I have managed to nullify the effects of the NSAID’s, or perhaps I would not have been able to finish the climb without them, I don’t know. At any rate, when I reached the 5 km marker on the road, I catched my breath and changed my outfit one last time. I decided it was the appropriate moment to put on my new “Hero kit” and in that, I reached the summit around 17:15. An all but abandoned summit too, which was quite a relief 🙂 This climb had taken me almost 40 minutes more than in 2008, but back then it was the only thing I did that day. 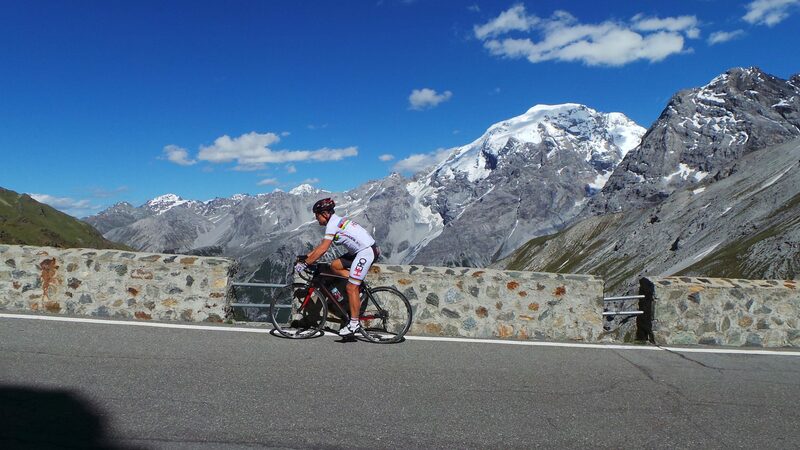 After a cappuccino I descended back to Bormio, a much more pleasant experience than my last descent in 2011.